Beauty is where you find it. I refer to this as a photo of wildflowers on a hillside, but others might consider it a bunch of weeds on a slope between a parking lot and the road along an industrial park. This was the view that greeted me one morning last week as I pulled in at work, and I was glad I had left my camera in the car the weekend before. The wildflowers are just pretty enough to have probably been intentionally planted. I would like to get more photos while they are in bloom, before they wither and fade. This photo was taken by me, and my personal blog is Another Monkey. 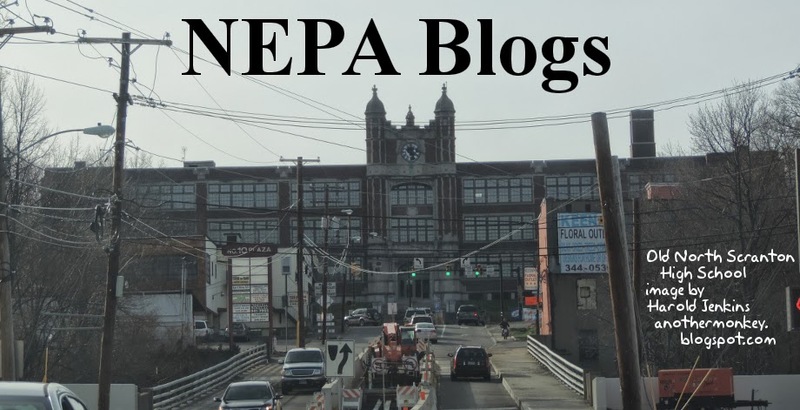 Do you have any photos of Northeastern Pennsylvania that you'd like to see featured as the NEPA Blogs header image? Send them to us! Our address is nepablogs@gmail.com. Our PA Live! Blog of the Week this week is Whiskey Bacon (http://whiskeybacon.com/). To say that Whiskey Bacon is a food blog is an understatement. The creation of Chef Theresa, Whiskey Beard, and NoBakeLeni, Whiskey Bacon is a blog that takes absolute delight in the wonderfulness of food. Since February 2012, this blog has celebrated food of all sorts with recipes, restaurant reviews, food events, and stunningly beautiful food pictures. It is also a wonderful resource for finding restaurants in Northeastern Pennsylvania you might not otherwise have known about. Chef Theresa, Whiskey Beard, and NoBakeLeni share their love of food through the posts on Whiskey Bacon, but it doesn't stop there. They have also created a Facebook group, and from there they have launched a series of group outings and various restaurants in Northeastern Pennsylvania. It's an excellent opportunity to enjoy great food in the company of people who are truly passionate about food! But whether you can join them or not, be sure to check out everything they have to say in the posts that make up their blog - Whiskey Bacon! I've been corresponding through email with Aimee Waltman of Watsontown this weekend about her blogs and wanting to be included on the blog roll here on NEPA Blogs. Technically, Watsontown is in Northumberland County and according to Wikipedia (citation needed), it is considered part of Northeastern PA. At any rate, whether you agree or disagree with this will be irrelevant when you see the beautiful pictures that are posted in these blogs! Hi my name is Aimee Waltman. I am the author of 2 blogs and I live in Watsontown, PA. I was wondering how I would go about being included on your site? and Dear Harper - http://dearharperblog.blogspot.com/. The Here & There blog features photography of historic places throughout Pennsylvania. From the about: I have a (possibly unhealthy) fascination with local history and all things "old." This blog is photo based because that is what I enjoy most. I usually add a fact or two to describe the location and why I chose to photograph it. I will occasionally do a larger post if the subject warrants. The Dear Harper blog is a photography and inspiration blog. From the about: I am a work in progress, learning as I go. This applies to all the things I do and love: parenting, photography, blogging. Always focused on the next level, never perfection. Life is better when it's a little messy, right? You can now find both of these blogs on the side blog roll. Also, don't forget, tomorrow night is the NEPA BlogCon Kick-Off party for this year's conference. It is a free event with appetizers, door prizes and networking with the local blogosphere. You can read more about it here. We hope to see you out there! David Yonki tipped me off to the new blog of Dr. Joe Leonardi in this post. You may remember that Dr. Joe has another blog -- a fitness blog -- over at "Fat Then Fit Now". The name of the new blog is "Rant, Rage & Rampage" and the blog revolves more around his personal opinions on life topics, politics and pop culture. A Blog about EVERY & ANYthing! Rant, Rage & Rampage is a stream of thought blog, so there may be typos, grammatical errors, etc… It may not always be upbeat, it may not always be nice, and others may not always like what I comment about. If you don’t like any of that — tough! Thank you for visiting and reading. Please feel free to comment, I don't answer very often because I have had my say, and the comments are for you to have yours. Just remember, even if we disagree, I don't require you to be wrong, for me to be correct in my thinking! We look forward to hearing Dr. Joe's opinionated rantings. You can find him and all of our other life bloggers on our ever expanding blogroll on the right hand side! I write several blogs and was wondering if I could get one or all of them listed on your page. Some are for commercial purposes but it did not look like that was an issue when I saw your page. I talk a lot about bullying, weight loss, confidence and things along those lines. If you ever wanted to be a guest blogger feel free to let me know. Welcome to the blogroll, Tom! 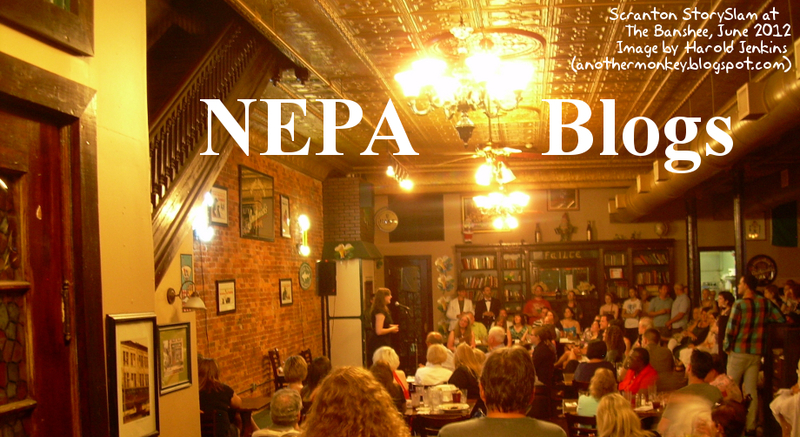 If you'd like to tip us off to a new blog in the area, drop a line to nepablogs@gmail.com. 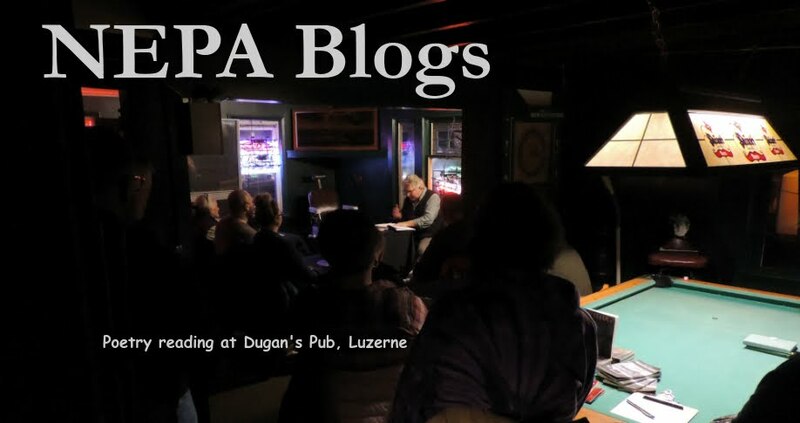 This week's blog header is from an image found on this post on Don Williams's blog, Susquehanna River Sentinel. It's from RiverFest 2008, and it reminds us that RiverFest 2013 is coming up this weekend. Don is planning to be there, despite the fact that he is still recovering from a significant injury several months ago. More information about RiverFest 2013 can be found on this post on Don's blog, on on this post on Mark Cour's blog. Another person who will be at RiverFest this weekend is NEPA Blogs co-administrator Michelle Hryvnak Davies, who will be part of the crew of one of the Dragon Boats! So if you hear about one of the Dragon Boats overpowering and destroying all the others, you should suspect that Michelle was involved! 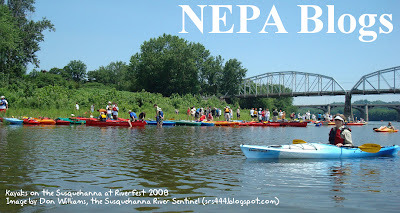 If you have an image you would like to see used as the NEPA Blogs header, please let us know at nepablogs@gmail.com. Beer! The staff of life! Liquid gold! Once used as payment of wages, and as a non-toxic alternative to disease-infested water supplies. Is there anything more wonderful? OK, maybe I'm getting carried away there. (...or am I?) But Joe, Sean, and Amanda at NEPA Beer Reviews will certainly help deepen your appreciation for beer. Their banner reads "Reviews for Beer Geeks and Craft Beer Beginners," which gives you a good idea what to expect. While their blog is all about beer, it focuses on craft beers, those small-batch, often hand-made brews that provide far more variety and nuance than the stuff you see advertised on major sports events. These aren't necessarily beers that were made in Northeastern Pennsylvania, but they are available in Northeastern Pennsylvania, and that's something. The NEPA Beer Reviews blog is full of videos of Joe, Sean, and Amanda testing the beers they review. In addition to reviews and information about craft beers, they also engage in some beer-related adventures - check out this visit to the New Belgium Brewing Co. in Fort Collins, Colorado. Joe, Sean, and Amanda have been bringing the world of craft beer to Northeastern Pennsylvania since March of 2012. Whether you're a beer connoisseur or simply beer-curious, check out the NEPA Beer Reviews blog and see everything they have to offer! So you want to do...something. Maybe you're becoming a parent for the first time. Maybe you're going to college. Maybe you want to organize your life, or just head out to an all-inclusive resort. And all you know for sure is that you don't know anything about what you're getting into. What to do? Lisa Rusczyk has some suggestions. Lisa is the blogger at Charlie the Cavalier, and she has also authored a series of books in the "50 Things to Know..." format. Now she's sharing her tips and advice with everyone on her blog, 50 Things to Know. When you find yourself without a clue, it's always nice to have someone to help guide your steps. Lisa Rusczyk's "50 Things to Know" blog may not have all the answers, but it will certainly provide some helpful advice in many situations. Check it out! NOTE: As of July 4, Lisa has moved this blog to a Wordpress site. 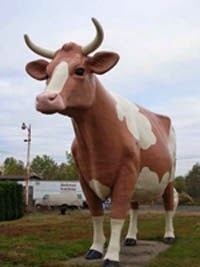 The new address is http://50thingstoknow.com/. From Great Bend to Tunkhannock to West Pittston and Wilkes-Barre, West Nanticoke and Shickshinny, Berwick and Bloomsburg and everywhere in between, the Susquehanna River plays a huge role in the lives of so many in Northeastern Pennsylvania. Every once in a while, like in 1936 and 1972 and 2011, it takes on the role of destroyer as well. Yet still we remain. Lori Prashker-Thomas of ShadowCatcher Ltd. Photography (www.shadowcatcherltd.com) submitted this image of the Susquehanna flowing under the Market Street Bridge between Wilkes-Barre and Kingston. It serves as a reminder of the beauty and the power of the Susquehanna River. It also serves as a reminder that Riverfest 2013 is coming up! As Mark Cour of Circumlocution for Dummies recently pointed out, Riverfest will be held June 21, 22, and 23. So polish up your kayak, dust off your safety gear, or just get ready to head down to the river and have fun! Do you have an image you'd like to see featured as the NEPA Blogs header? Send it to us here at nepablogs@gmail.com! Scranton is home to several fantastic studios and galleries, places where artists and poets and writers can meet and mingle and showcase their talent. At least three of them have blogs. Rounding out our list of those blogs is the blog of the place that advertises itself as "Scranton, PA's newest contemporary art gallery," New Visions Studio and Gallery. New Visions is more than just an art gallery, however. It also plays host to the New Visions Writers Showcase and Poetry Reading and events like the annual Scranton Zine Festival. Art classes are being conducted there for children throughout the summer. It also houses a shop that sells everything from works of art to vintage books, records, and comic books. On the New Visions Studio and Gallery blog you'll find announcements of upcoming and ongoing exhibits as well as photos of art on display and the artists responsible. New Visions Studio and Gallery is located at 201 Vine Street in Scranton, and their blog is located here. Check it out! Attending conferences, seminars and meet-ups is a great way to network with folks of similar interests. That's why I was so excited when the NEPA Wordpress group started doing informational meet-ups. I love Wordpress and was happy to meet and learn from others using the platform. Although I didn't attend the the March meet-up in person, I got the chance to chat with others watching the live stream of the event. I met Jenn who has a blog that we didn't have listed in our blogroll here at NEPA Blogs. Her blog is called "WithLuckBlog". I’m on Pinterest so often it could probably be considered a severe obsession and I finally decided that pinning things I like doesn’t mean I’m actually doing things I like. My blog started as an excuse to turn my pins into reality but in the last few months WLB has become much more. I use this blog as a way to share a bit about myself and explore my passions. You’ll find posts about everything from healthy living, style, DIYs, fun recipes and anything that happens to be going on in my life. I hope you choose to grab a cup of coffee and hang for a while. And for fun, here’s a short list of [some of the] things I love: coffee, laughing, outlet store sales, crafting, books, traveling, style, baking, eating, good hair days, friends and family. It's taken a while, but we're finally posting the link! …The Iron Reels Review is the brainchild of Scrantonite camera-toting madmen Kevin Vogrin & Kyle Rebar, who curate film shows and work on a myriad of artistic projects. We’re looking to review films from the Scranton area and abroad. We’ll review any genre, but we especially enjoy experimental films. Some of our favorites are Kenneth Anger, ‘Eraserhead,’ ‘Clockwork Orange,’ Mike & George Kuchar, Monty Python & The Holy Grail, Dancer in the Dark, Shadow of a Doubt. We’ll accept DVDs or web links. Send submissions with a log line and contact info to krebar@m.marywood.edu. Kevin and Kyle just started this blog a few months ago, but already have numerous reviews and movie clips on the site. Head on over to the Iron Reels Review and see what it's all about! This week's header image is from a photo I took at the June 30, 2012 Scranton StorySlam held at The Banshee in Scranton. (I believe that's Mandy Boyle telling a story before a full house - you're only seeing the front edge of the crowd.) While The Banshee, despite all its beauty, charm, and character, closed a few months ago, the StorySlam lives on, and another edition is being planned for later in the Summer. 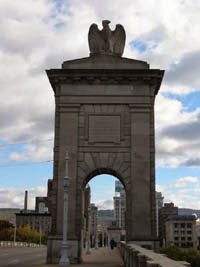 Scranton is full of things to do and see, events to attend and to participate in. 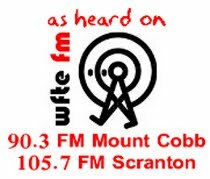 Two of them coming up this weekend have blogs of their own: the Scranton Zine Festival being held at the New Visions Gallery on Saturday, June 8 and the Arts On Fire Festival taking place at the Scranton Iron Furnace all weekend. If you're anywhere close to Scranton this weekend, why not swing by one or both and see what the area has to offer? And keep your eyes peeled for updates on the upcoming StorySlam! 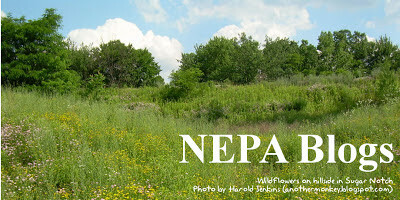 If you have an image you'd like to see used as the NEPA Blogs header, please send it to us at nepablogs@gmail.com. Our PA Live! Blog of the Week this week is Dale Culp's Dale Rides His Bike. As the freezing temperatures of the beginning last week gave way to the broiling temperatures of the middle of last week, the thoughts of many people turned to Summertime and all it has to offer - and the joys of hiding from it in a climate-controlled environment. But for those brave souls willing to brave the elements (and the traffic), the great outdoors of Northeastern Pennsylvania has much to offer. And when it comes to bicycling in this area, Dale Culp (of NEPA Geeks and Growing Up Geek) has you covered with Dale Rides His Bike! Dale Rides His Bike is a straightforward bicycling blog. In it, Dale Culp writes about the ups and downs of riding a bike in the mountainous terrain and on the twisty, pothole-laden streets of NEPA. Whether it's commuting to work, riding off-road, taking part in biking events, or just going out and having a good time, Dale has probably written about it. He also touches on news and information of special interest to bike riders - locally, nationally, and internationally. Lots of people in NEPA ride bicycles, but as far as Dale can tell not very many of them are blogging about it. Dale would love to use his blog as a platform for networking with other bicycle riders, commuters, and enthusiasts, to band together to work for more bike lanes, greater recognition of the presence of bicyclists on the roads, and the creation of a safer environment for bicyclists, motor vehicle operators, and pedestrians alike. If you have an interest at all in bicycling in NEPA, check out Dale Rides His Bike - and then get in touch with Dale! He'd love to hear from you. It's hard to believe that I joined Twitter over five years ago (in early 2008). Time flies by when you are having fun and tweeting about it! Anyway, one of my first followers on Twitter was @PeterParker_PA, the handle of Times Leader/Go Lackawanna journalist Christopher Hughes. Chris messaged me through Twitter the other day and needed some guidance on specific topic bloggers for an upcoming piece. After helping him out, he informed me that he has a blog! 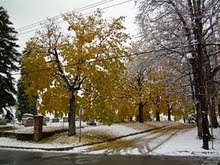 I don't know if my design blog, www.peterparkerpa.com, would be eligible for inclusion on the site. I'm doing a lot of pop culture mashups with well-known video game, TV, and movie characters to put on T-shirts to sell online. I'm also adding any corporate logo work I've completed and I'm working to backlog the napkin art series to the site. You can read more about his projects on the Bio section of the blog. One of my favorite things about Chris's blog is that he has been posting some of the photos he's taken of his napkin art. He started drawing napkins for his daughter’s school lunch in April 2011 and posting them on his Twitter account. At some point, I think that I told him he should start a blog with them (and obviously he did). He is too talented and the drawings are too awesome not to share with others. Also - according to the photo captions - They’re a hit at lunchtime!